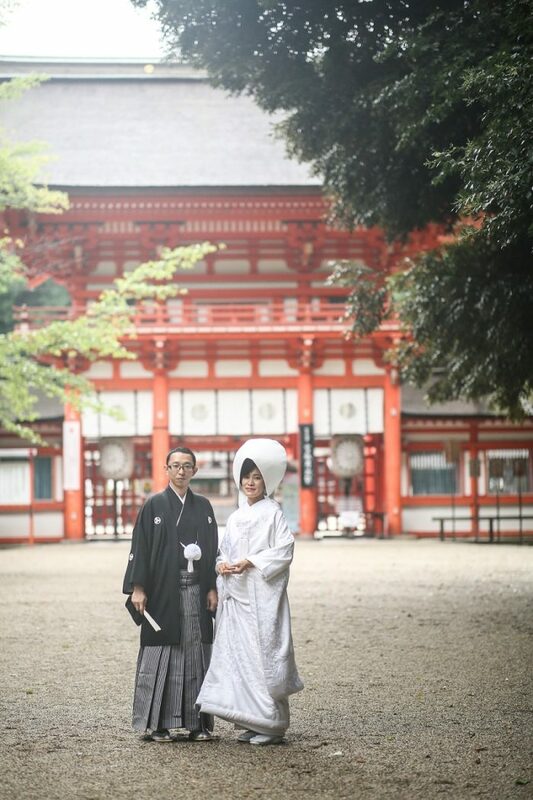 Our Tokyo branch’s client couple had a wedding ceremony at Shimogamo Shrine in July. 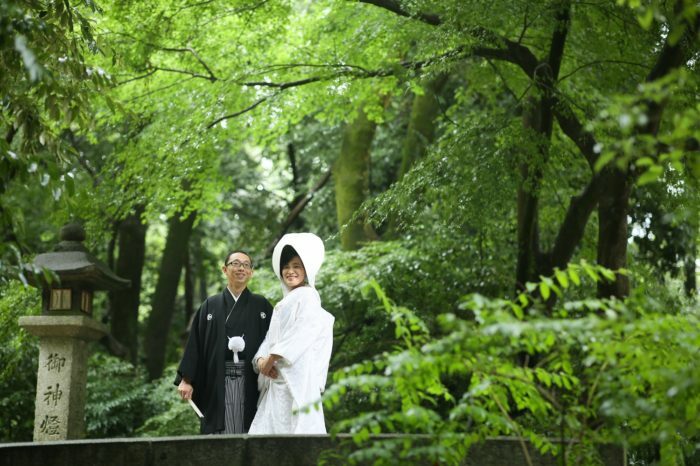 The bride and groom are both working in overseas and they are very cool. They had to adjust their schedule to return to Tokyo for a preparation meeting with us. It was raining in the morning on their wedding day. But the rain stopped miraculously by the time when their wedding ceremony started. 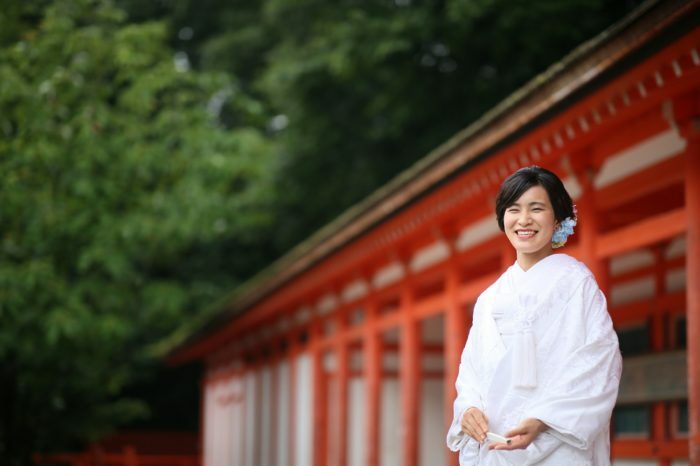 And they could take beautiful photos in the shrine and the forest in its premises named “Tadasu no Mori”. The rain made the green color rich and beautiful. The bride had a wonderful smile being celebrated by everyone. Both I-sama and R-sama are full of energy. Please make a happy and nice family together by supporting each other.